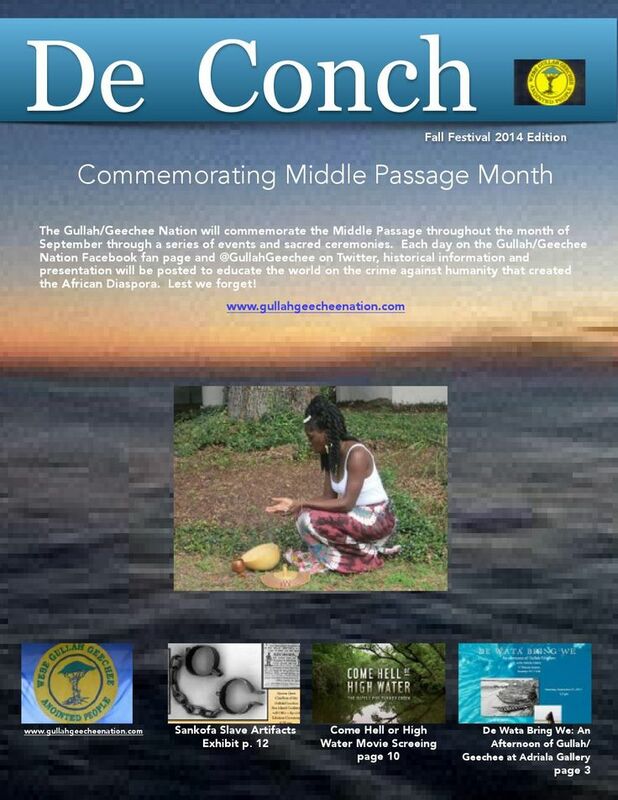 This is the international ezine of the Gullah/Geechee Nation. This edition features Middle Passage Month and a number of upcoming events focused on Gullah/Geechees. Download here->De Conch Fall Festivals 2014 Edition and share the Fall Festival edition of De Conch. Ef bout we hunnuh wan kno den yeddi de conch da blo.